Lovely old pub in an excellent setting.Surrounded by land owned by Woodland Trust.Nice to see the sign "We donot sell food or hot drinks. "A real pub not a licensed restaurant. Visited on a beautiful September Saturday.Plenty of families with children and dogs out in the pleasant garden leading down to a stream.Outside toilets add to the rural feel of the place. Sam Smith OBB at GBP1.80 a pint.Love it. 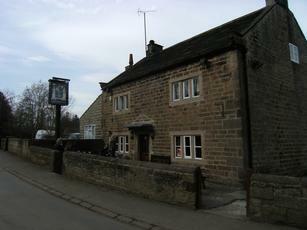 Situated in the Bilton area of Harrogate, the Gardeners Arms has a wonderful interior. As you approach through a residential area, the housing suddenly disappears and the pub emerges. There are 3 or 4 small rooms where conversation dominates. It's a Sam Smiths pub. So it's also very easy on the pocket. Old Brewery Bitter is on handpull. We chose one of the two front rooms, one with a serving hatch to the bar. There was a nice, open fire. If this had a better range of beers, it would be one of the best pubs in the country. As it stands, you'd soon get fed up with the same drinks range. But I thoroughly advocate a visit, if only to see the unspoiled interior. I may be biassed here as this was the first 'local' I ever had. Now that I'm sufficiently old to be retired, I still call when in the area. I fully understand why some people don't like the place or the way its run - but for me, I love the place. If you want an 'upmarket refreshment experience', don't come here. If you want peace, quiet and a seriously good pint - then this is the place. With a pint at about half the price it is elsewhere is just icing on a very nice cake. post by becki on 4/7/10 is unfortunately still spot on. Service with a snarl continues to be the order of the day. Unwelcoming and rude lanlord, rules posted all over the pub. Don't expect to get served before any of the locals. Real shame as it could be a good little pub. Amazed that Sam Smiths don't sort this out - best avoided.